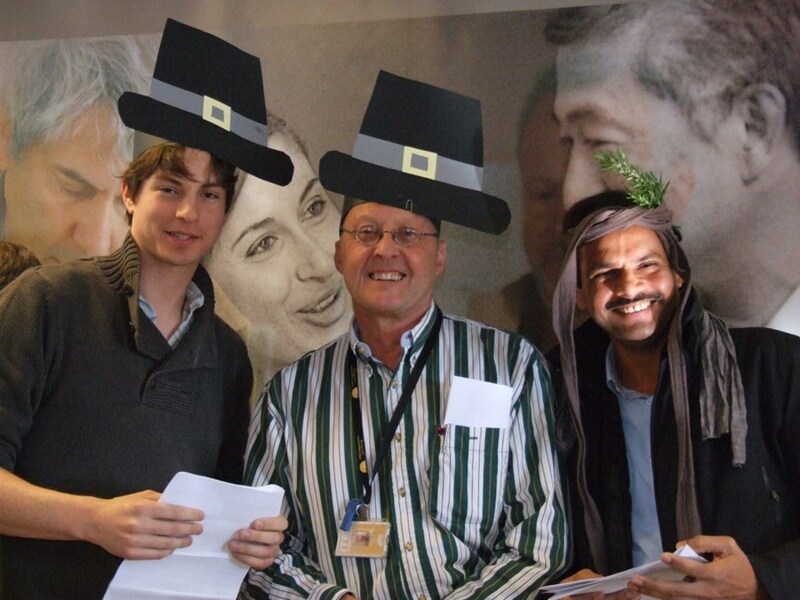 The day dawned to below-zero temperatures but turned sunny and crisp just in time for the annual Thanksgiving lunch, organized by Agence ITER France. A record crowd came together to celebrate this most typical and important fête for Americans. 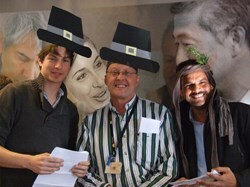 A brief but whole-heartedly-performed theatre skit by talented ITER staff members illustrated the origins of the Thanksgiving celebration, when Pilgrims recently arrived from England came together with Native American Indians to celebrate and give thanks for the Pilgrims' first harvest of food in the New World. 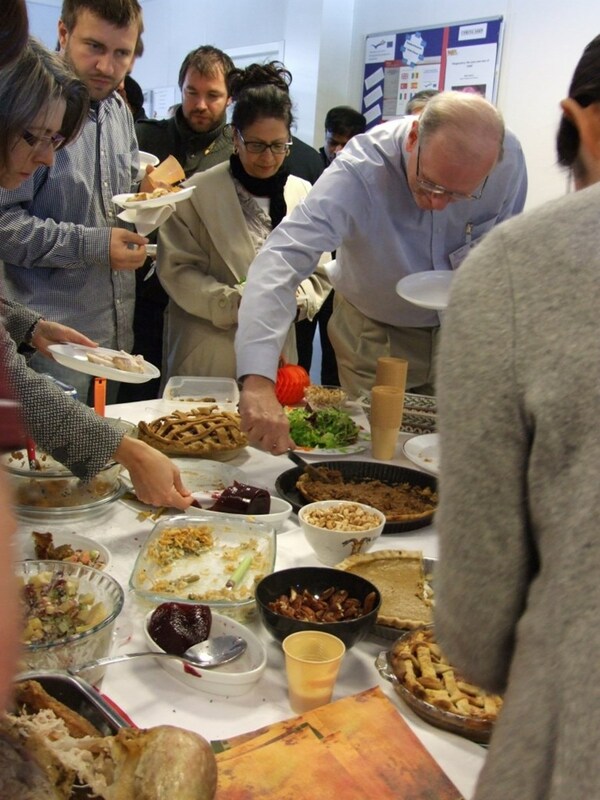 Pumpkins, apples and pecans were the stars alongside the turkey at Thursday's Thanksgiving lunch. A shortness of forks did not hamper appetites nor hinder consumption of the wonderful variety of food available, courtesy of our fellow American co-workers. It was a time for sharing food and conversation, and enjoying the company of ITER colleagues.